As is fast becoming tradition, we’re proud that The OVO Energy Tour Series is once again getting underway here in Redditch. It’s the third year in succession that the town has staged the opening round, and the eighth year that the excitement of the prestigious cycle tour has graced its streets. In fact, Redditch has hosted more Tour Series rounds than any other location! With that proud track record, it’s little surprise that the Tour Series is one of the most hotly anticipated events in the town’s calendar. The 1.4km course through the town centre is a reflection of the town, taking riders from old to new with the birthplace of Royal Enfield Motorbikes, the gardens at Church Green, historic bandstand, John Bonham memorial, railway line and infamous Unicorn Hill all making up significant parts of the route and event space. The key action takes place on Church Green West with the packed start and finish lines seeing the winners and losers being crowned. But action takes place on all stages of the track with spectators often watching the Unicorn Hill stage or standing on the corners to watch the thrill of the chase. We are really excited this year to not only host our Pro Riders – but to also host the inaugural Inter-services Track Race between the Army, RAF and Royal Navy. 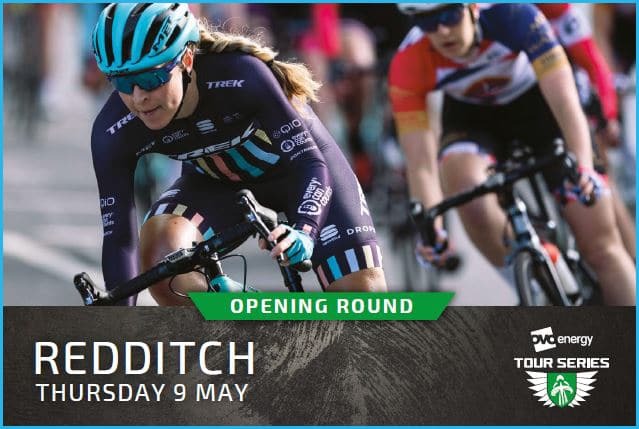 This is the first time these teams have ever competed on closed track road race and we are urging you all to come along and cheer on our serving personal as they tackle the Redditch route. We will be hosting live music on Church Green East from 12noon, with the crowd favorite mascot race taking place at 4:50pm and the official ribbon cutting taking place at 5:25pm ahead of the pro-races. Fancy having a go? Then join us for the Redditch ride it at 4:10pm – info on how to sign up is coming soon. For more information follow @TourSeriesReddi or visit this link.